So many people have a picture in their heads of what a drug addict looks like, what their lives are like, and how they ended up with such a problem. A good portion of these people would be wrong. Instead of an unemployed, dirty hobo lying in an alley that most people picture, a good portion of drug addicts are people in your everyday life. Doctors, lawyers, sales people, teachers or students. Almost all of them did not start taking drugs for the “high” associated, but for pain. The opioid epidemic has become the worst drug crisis in American history. Death from overdose of these drugs is now almost equal to the deaths from car accidents. Over-prescribing, marketing by pharmaceutical companies, increase in potency and a lack of knowledge in both the prescribers and the patients, have led to almost three times as many pain prescriptions being written over the last 10 years. Medications most commonly misused are oxycodone (OxyContin, Percocet) and hydrocodone (Vicodin). When these drugs are no longer available, or strong enough, patients will often turn to heroin or Fentanyl bought on the “the street” which are often much cheaper and easier to access. Unfortunately there is no way of knowing what is actually in these pills. Much of the heroin around is now being laced with Fentanyl (50-100 times more potent than morphine) and overdoses are at an all-time high all over the country. Pills resembling the prescription pills are also being produced with the much stronger Fentanyl. 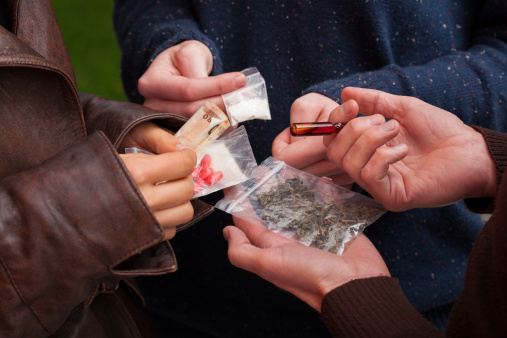 Overdose occurs because people do not realize they are taking a much stronger drug. Motor vehicle accident victims, spine injuries or post-operative patients are all patients that need to be monitored closely for their drug use. When a patient requires more and more of a drug to get the same effect, or is taking it to prevent withdrawal symptoms instead of for pain, they are on the road to addiction. Treatment for addiction is either chemical (Methadone, Buprenorphine) or behavioral (Narcotics Anonymous, treatment centers) or a combination of the two. The symptoms and treatment for overdose are important for everyone to know. Call 911 if not responsive to pain. Most police and ambulances carry Narcan with them at all times now due to the increase in overdoses. Never hesitate to call 911. Most states have a Good Samaritan Law that protects the caller and the patient from charges being filed. The drug addict could be your spouse, your child, your coworker, your friend, not only someone who lives on the street or takes cocaine and “parties hard”. Know the signs of addiction and the signs of overdose. If you know the former, maybe you can prevent the latter.